We made sure William was fully prepared for his honeymoon! 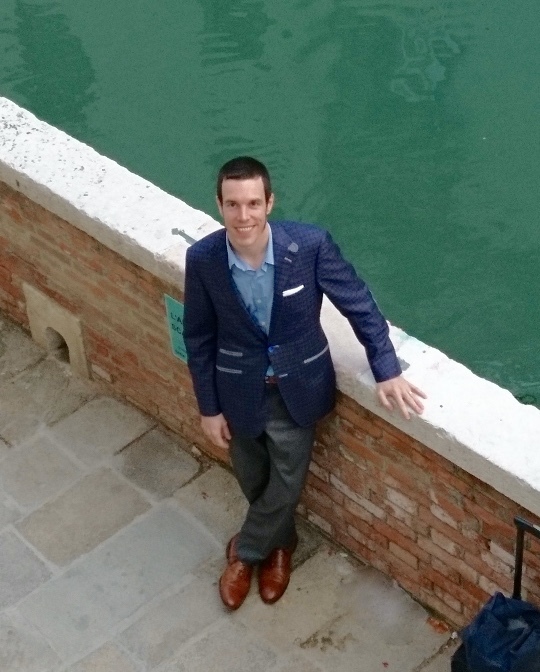 William Anderson is wearing a blue checked sport coat made from the Italian mill Reda, in Venice Italy, on his honeymoon. 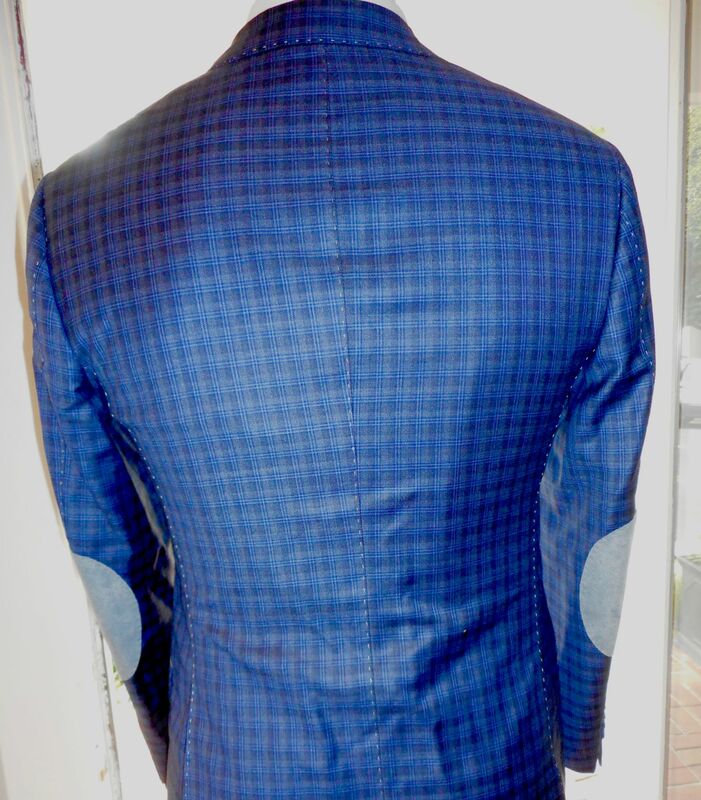 Noticed the suede patch on the elbows matching the trim piping on the pockets and outside ticket pocket.